Children’s lunch bags and lunch boxes. We remember having the lil’ square ones that looked like mini TVs and featured a character sticker on the front. However, that was erm, ahem, 30 years ago and since then, the market’s exploded with a huge range of children’s lunch bags and lunch boxes all offering different features. 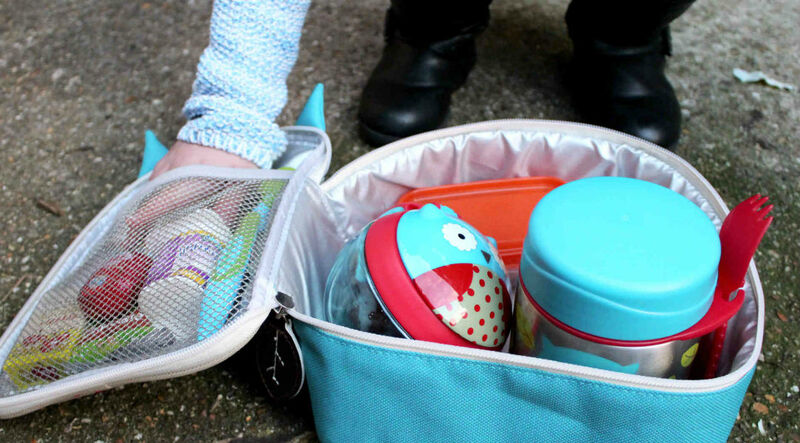 But with so many on the market, which lunch box is right for your baby or toddler? 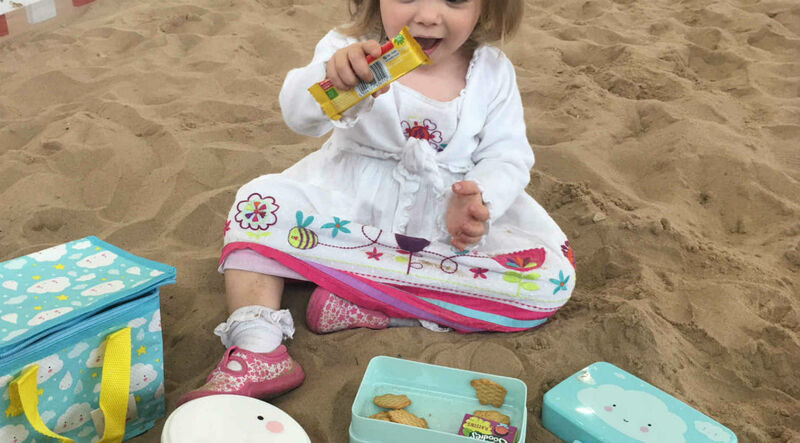 We’ve packed up (see what we did there) some info to help you make the right choice for different stages of their food journey from baby weaning, to toddler packed lunches. So, you’ve started with the weaning foods. Whoop! Life just got a whole lot more interesting and messy. Whether you’re baby led weaning or a puree fan, one thing stays the same. When you’re out and about, you’re gonna need a baby lunch bag or children's lunch box that’ll fit all their snacks and those puree food containers as well as keeping them fresh. This Babymel Lunch bag is thermo-insulated to keep your baby’s lunches cool, and comes with an ice pack to help keep those beautifully puréed fruits in tip top condition. With a wide base, there’s plenty of room for containers and let’s not forget the design, which looks awesome too. Oh, and there’s also a clip for their buggy, meaning you can pop it on the pram when you’re out and about. Ahhh, nursery. It’s fun, tiring and also makes babes hangry. So pack them off to nursery with a toddler lunch box or lunch bag that will keep food cool as well as being easy to carry. 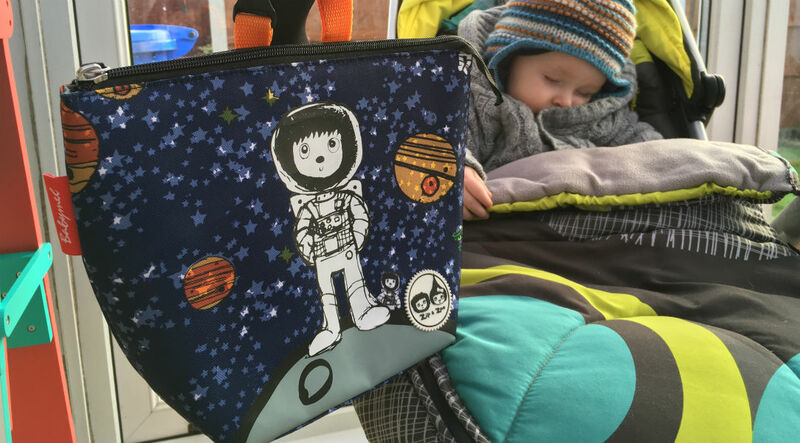 This Skip Hop Zoo Lunchie Insulated Lunch Bag is perfect for feeding time at the er, zoo. Coordinating with the Skip Hop Zoo range - so you’re little one has familiarity - it fits the Skip Hop Zoo Straw Bottle and the Skip Hop Zoo Snack Cup, meaning they’ll always have a healthy piece of food to munch on if they get hungry later on in the day. There’s also plenty of room in this insulated lunch bag for a sandwich too. The whole thing comes with a clip too so you can put it on their lil’ backpack too. Sneaky. Skip Hop Zoo Lunchie Insulated Lunch Bag, £14. So, they’re getting older and more active and that means they’ll probably be hungrier than they’ve been before. Fun and games! So, you’ll need a pre-schooler or toddler lunch box that can hold a good amount of food. If you have a fussy pre-schooler, or one who likes to eat bits of their food separately (it’s a thing, we’ve lived it) then a lunch box that keeps things separate is a must. 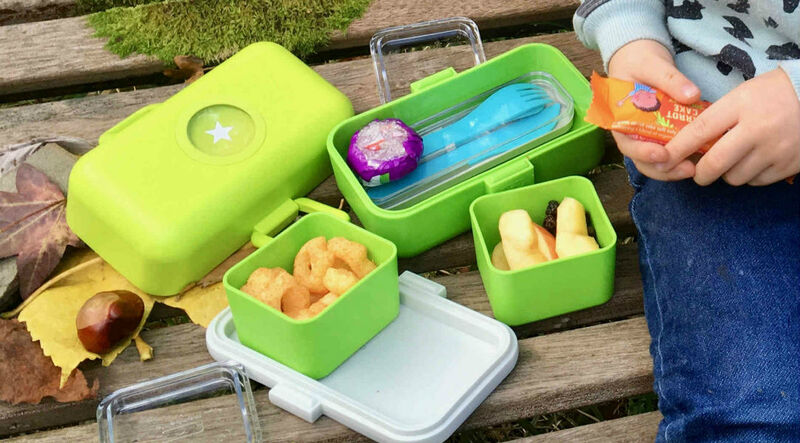 The A Little Lovely Company Lunch Box has cool removable compartments inside, meaning there won't be any wails because you've mixed up their food #toddlerproblems. Oh, and it’s been made for little hands to carry too. Awesome. A Little Lovely Company Lunch Box, £8. Once your child goes to primary school, the game changes. If they're having a packed lunch, you’ll need to make sure their school lunch box is big enough to hold enough food to sustain them for the whole afternoon, as well as looking cool too (because five year olds care about style, trust us). The Monbento Tresor Kids Bento Box was developed in collaboration with parents and approved by kids. It features a range of compartments, which are handy for storing different foods and can also be customised meaning no more playground mix ups. Kids’ school ask you to provide a mid-morning or mid-afternoon snack? This Precidio Snack in the Box is great for storing healthy snacks and stopping them from going soggy. With twin pop-up lids, which let you easily pour in their fave snacks, they’ll never be without their healthy snack. Cool. So there it is, a guide packed full of lunch box and lunch bag ideas for babies, toddlers, pre-schoolers and school children. Bon appetit.